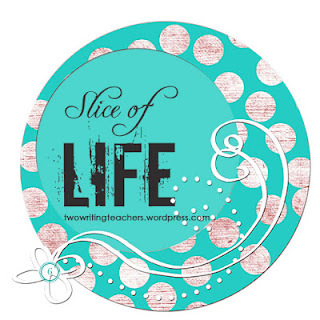 On Tuesdays, I participate in the Slice of Life challenge at Two Writing Teachers. 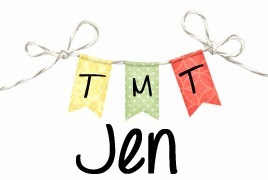 If you want to join in, you can link up at their Slice of Life Story Post on Tuesdays or you can head on over there to check out other people's stories. For more information on what a Slice of Life post is about, you can go here. It's not Poetry Friday but it is April so I'm going to share a poem today! As I was driving home this evening, I looked up and saw a wonderful rainbow stretching all the way across the sky. It completely took my breath away. I've seen rainbows before but there is still something completely magical about rainbows. I've done a lot of thinking about my hopes and dreams in the last year or so and this rainbow reminded me that it's okay to imagine, that unbelievable things do happen, that's it's okay to chase my dreams. does everyone see what I see? or are you there just for me? What makes you believe your dreams can come true? What encourages you to keep at something when it feels like it might not be worth all of the energy you put into it? I know that in education it is easy to become overwhelmed, bogged down, or to lose sight of our purpose. Tomorrow I'll be sharing Meenoo Rami's book Thrive and her ideas for (Re)Invigorating your teaching. Today, this wonderful rainbow was exactly what I needed to nourish my heart and know that I'm on the right path.